The list of actions, of which there are three, are included in their entirety as an attachment to this document. Briefly, an inspection report written on February 20th, 2012, by Inspector Specialist Marc Theriault noted that the mill was in non-compliance with the installation of power boiler air pollution control equipment. This finding resulted in Theriault issuing a directive, under the Environment Act, that same day. 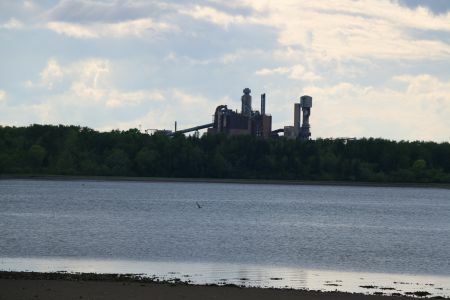 There are certainly many troubling angles to this first report, the least of which involve Northern Pulp most likely just not installing power boiler air pollution control equipment. This is probably not something just forgotten, like not picking up eggs at the grocery story. This was probably knowingly not installed. That the Department of Environment's subsequent reaction amounts to: 'Well, see that you get this done then, and write us when you're finished. Oh, and if you need more time, just try and get permission, ok? ', is also disturbing. Substance Emission and Particulate Levels at the mill, when self-reported, are often thousands of percentage points over federal thresholds. In the meantime, it would appear that the general area of Pictou County – minus the mill – is little more than a petri dish. The USA's Environmental Protection Agency notes that Sulphur Dioxide, especially when combined with other particulate matter (like that which comes out of Northern Pulp's stacks on a daily basis), can cause or worsen respiratory diseases, can aggravate existing heart disease and can lead to premature death. That Pictou County is the 'sick man of Nova Scotia', leading the already-ill province in cancer, respiratory and cardiac statistics, is also well known. But by no means stop sending death-bringing Sulphur Dioxide into the atmosphere in levels that exceed the agreed-upon limits. Which does raise the question; why set limits at all? To employ Theriault? Theriault's third report is dated November 4th, 2013. In this one, the inspector basically notes that while Northern Pulp has done a whole lot of great work and are trying really hard, shoot, they're still exceeding those pesky Total Reduced Sulphur limits. Theriault's November 4th directive instructs Northern Pulp, in no uncertain terms, to provide data on the total reduced sulphur levels (had they stopped even reporting by this point?!) and provide a detailed description of the work being done to improve sulphur emissions. And do it on a monthly basis, darn it! Please see the attached reports.